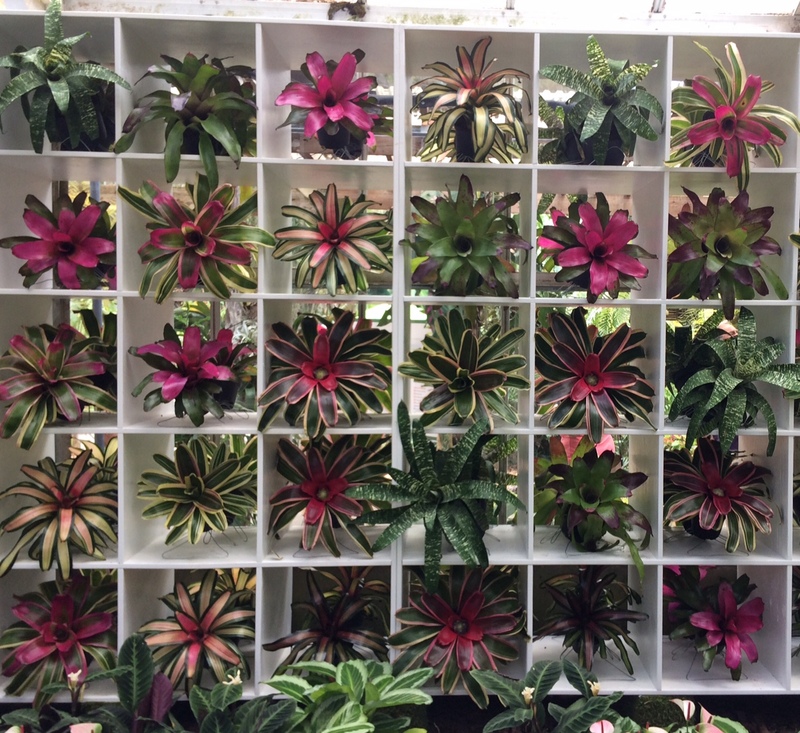 What a great way to display bromeliads — in the world’s largest IKEA bookcase. Like a lot of northerners, I like a winter escape—preferably to Florida. While it’s not always possible to get away, the past couple of winters my husband and I have taken a break from the snow, ice and potholes in St. Paul to spend some time in Sarasota, Florida. Whenever we are here, we visit the Marie Selby Botanical Gardens. 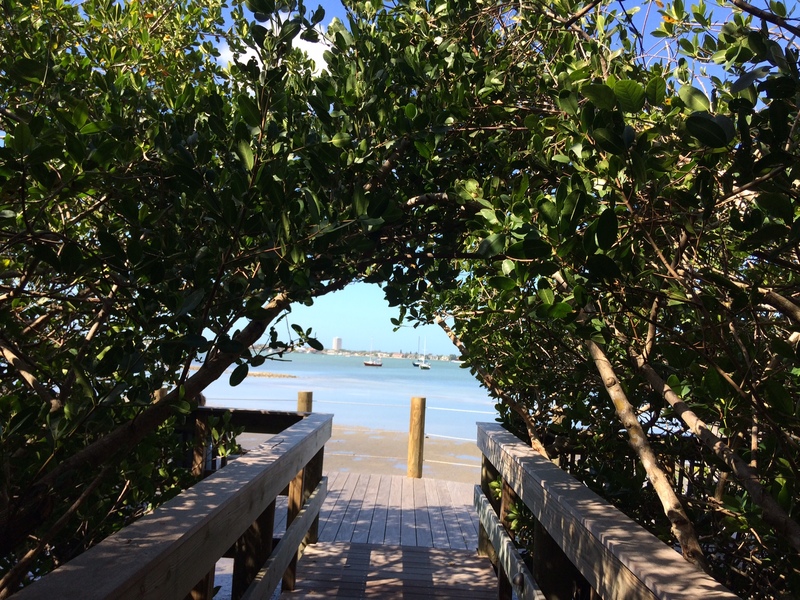 No matter where you go in the Marie Selby Botanical Gardens, Sarasota Bay is within view. These gardens celebrate all things Florida, with lots of native plants, palms and brightly colored annuals, all arrayed along the shores of Sarasota Bay. Viewing the gardens with sailboats and water behind them is a good part of the fun. The gardens began as the estate of William and Marie Selby, who were among the residents flocking to Sarasota in the 1920s. Marie was the first woman to cross country by car! She loved Sarasota and she and William (a co-owner of the Selby Oil Co.) built a Spanish-style home and expansive gardens along the bay. When Marie died in 1971, she asked that the property become a botanic garden. The garden opened in 1975 and specializes in epiphytes, organisms that live on the surface of other plants. 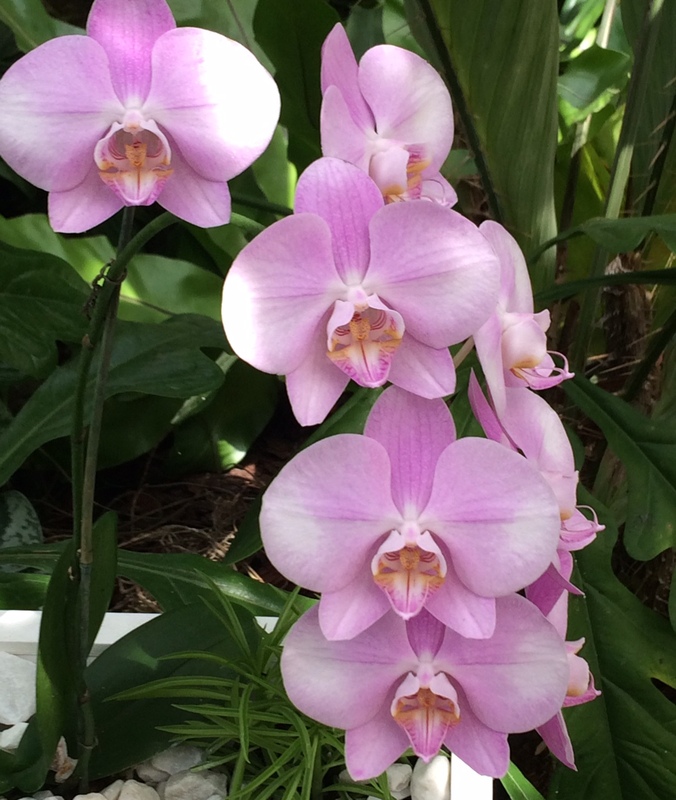 Orchids were in bloom throughout the conservatory at the Marie Selby Gardens. The gardens include a conservatory, with a huge collection of bromeliads and orchids, lots of mangroves, ferns and, of course, epiphytes as well as a huge banyan tree with a climbing structure nearby that is perfect for children (and adults) to climb on. Annual flowers are on display around the gardens and there is ample seating and winding paths to make the visit relaxing. The docent-led tours are informative and give visitors great context for visiting the garden. Many years, the garden hosts an exhibition of a well-known artist’s work that is connected to gardening. This year, the exhibit is Andy Warhol: Flowers in the Factory and focuses on nature as an inspiration in the work of many pop artists. 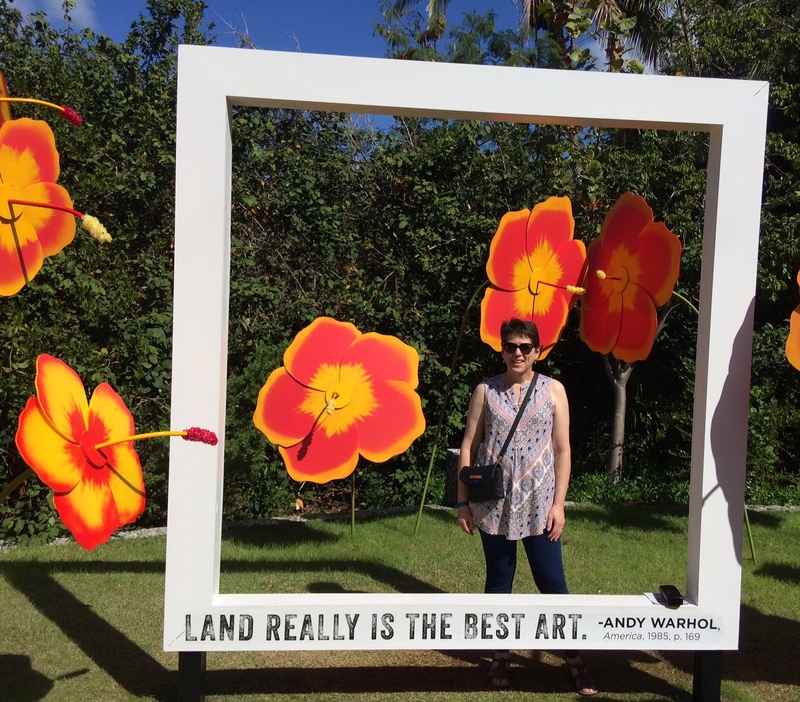 Warhol-inspired works are displayed around the garden and the exhibit gives viewers a compact history of Warhol and his compatriots. A highlight for me was the exhibit of several prints called Flowers, which Warhol created in 1964. To make the prints, he started with a photograph he saw in Modern Photography magazine (taken by someone else). He stripped out the detail and colors from the photo, then added more back, creating a fascinating series of floral prints. Shades of Instagram! The photographer who took the original photo, Patricia Caulfield, later sued Warhol for copyright infringement. The interesting thing is, Warhol built his career on changing other iconic images, such as the Campbell Soup can and Marilyn Monroe. If you are near Sarasota, the Marie Selby Botanic Gardens are well worth a visit. Take the docent-led tour and stop by the cafe for a light lunch or a cup of coffee. It will make for a lovely day in a city that is rapidly becoming my favorite Florida getaway. Yours truly enjoying the gardens. I agree completely with Warhol on the beauty of our land. Thanks, Beth! We liked it so much that we have already booked for next year! As you know, we were at Marie Selby shortly after you. We always enjoy this little gem and really like the Warhol exhibit. I always admire the lushness of the greenhouse there as they pack an amazing amount of plant material into a small space. Thankfully, the garden suffered minimal damage from Hurricane Irma!